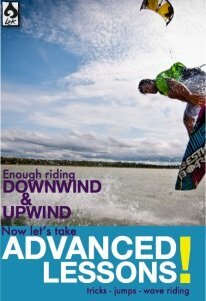 You can learn kiteboarding! Yes I’m talking to YOU! Well I’m here to tell you all: no matter your current fitness level (and you don’t need upper body strength) nor your age (our students take kiteboarding lessons from 7 years old to 70 years old) my awesome team of instructors can transform YOU into a kitesurfer. We’ve been doing this here in Cabarete since 2003. It would be an honor to share our knowledge and experience with you here in the Dominican Republic! 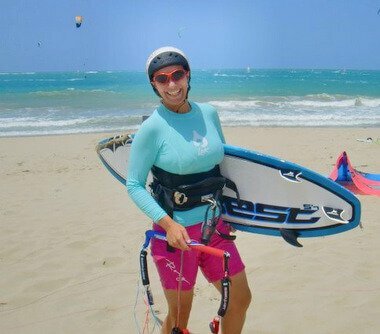 Kiteboarding lessons at LEK Cabarete are tailored to suit your individual goals and abilities. People learn differently. Students come to us at all stages of their kiteboarding journey. We don’t have a one size fits all approach to teaching kiteboarding, we personalize the program just for you. Have previous experience? – We build on what you already know. Brand new to the sport? – We take you through step-by-step in a safe, fun and easy manner. 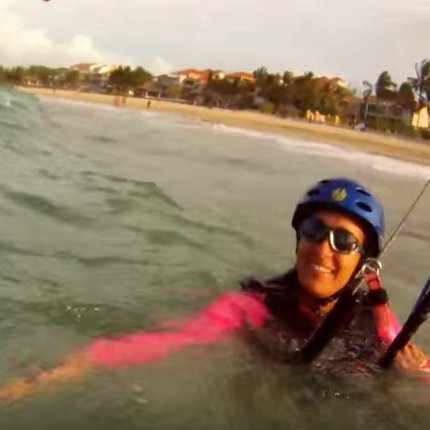 Learn kiteboarding with Laurel and soon you’ll be cruising right with her out on the water! How much will my kitesurfing lessons cost? $71 USD per hour is the starting rate. Take 10 hours and the hourly rate is only $63 USD per hour. You don’t need to decide right now how many hours to take, we take it day by day to see your progression and the hourly rate is assigned at the end of your visit once you’ve accumulated all your hours and discounts. Private lessons are recommended unless you have someone or a few people you want to learn with. Remember! When you sign up for kiteboarding lessons it INCLUDES all the kitesurfing and safety equipment and your awesome IKO certified kiteboarding coach. However much money you’re going to spend on kiteboarding, all I can tell you is this: it’s totally worth it. Kiteboarding is the most fun money can buy. Kiteboarders are some of the nicest, coolest, and most inspiring people on the planet. Becoming a kiteboarder will make your life better. You’ll be getting exercise, in nature, and living in the moment. Just Say Yes! We are precise: only charging for the time you spend with your coach and equipment. In your kiteboarding lessons we’ll bill to 5 minute increments. If you spend 1 hour and 40 minutes then we only bill you for that. We joke a lot at LEK and one of my favorites is: we bill like lawyers, but have much more fun! Hopefully you’re convinced and ready to pre-book today and get scheduling priority. I highly recommend reserving your awesome LEK coach by making a fully refundable deposit. This gives you scheduling priority over walk-ins. Once that’s done we confirm your reservation by email, and then we all do a big wind dance, praying for wind for your visit to Dominican Republic. Thank you for choosing LEK, we can’t wait to get you stoked on kiting. Our lesson plan and progression is a simple, safe, and fun way to learn, side by side with the awesome LEK instructors. The training is hands-on. I believe you learn best by doing. That being said, before you come to Cabarete for kiteboarding lessons I highly recommend checking out my “Learn How To Kiteboard with Laurel Eastman” video tutorial series, and signing up for my emails. The emails keep you updated with the newest and greatest kiteboarding educational content I make. Body Surfing – Get Wet! The Board – Time to Ride! Cabarete Bay – no dangerous sea creatures nor obstacles in the warm blue water. Once you’re up and riding you can take supervision with on of our Spanish speaking Dominican IKO certified assistant instructors or take the plunge and buy kiteboarding gear from us here at LEK to continue practicing on your own! 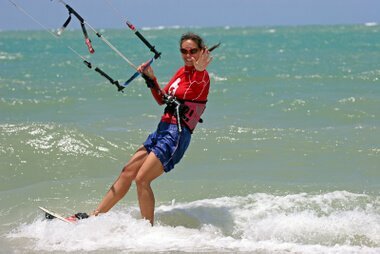 We understand that women learn kiteboarding differently, and we specialize in creating a supportive, safe, and fun atmosphere for women kiteboarders. We’re a woman owned and operated company! I’m so into it that I’m actually the President of non-profit organization dedicated to connecting, educating and inspiring women in kiteboarding! Learn more about my work with The Women’s Kiteboarding Collective, and if you’re a passionate or aspiring female kiter please join my private Facebook group: Women’s Kiteboarding. But back to learning kiteboarding at LEK, if there’s one thing we love it’s getting more women into the sport! Give it a try, chances are you’ll LOVE it too. We can get you back up to speed quickly and safely, growing your confidence & skills. Also a great option for folks coming to kitesurf in Cabarete for the very first time. Just a quick hour with one of our great instructors can make you feel safe and stoked. We understand the special lifestyle that comes along with working and living on boats. We can totally cater to YOU! Take it to the next level! So much to learn in kiteboarding! We can teach it to you! If you’re serious about getting good at kiteboarding I’d love to invite you to join my Facebook group for Awesome Kiteboarders. It’s a community for people who want to learn, be awesome, and improve their kiteboarding skills. My dedicated LEK instructors have been specially trained to teach kids as young as 8 years old. 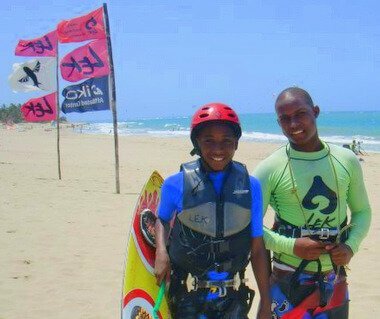 My team love teaching kiteboarding lessons to kids. It’s so fun to watch their awesome kiteboarding progression…they get so good when they start young! The LEK team of kiteboarding specialists work hard to match you with the right gear for you and for your kiting goals. Start with your kiteboarding instructor – they are the best source of information to help de-mystify (and de-stress) the process of investing in kiteboarding equipment. Learn more about buying your kiteboarding gear from my awesome team right here in Cabarete and our drop-ship program of getting my very favorite new gear right to your home. The location is perfect, the equipment in great condition, but best of all, Laurel and her staff are the friendliest instructors on Earth. 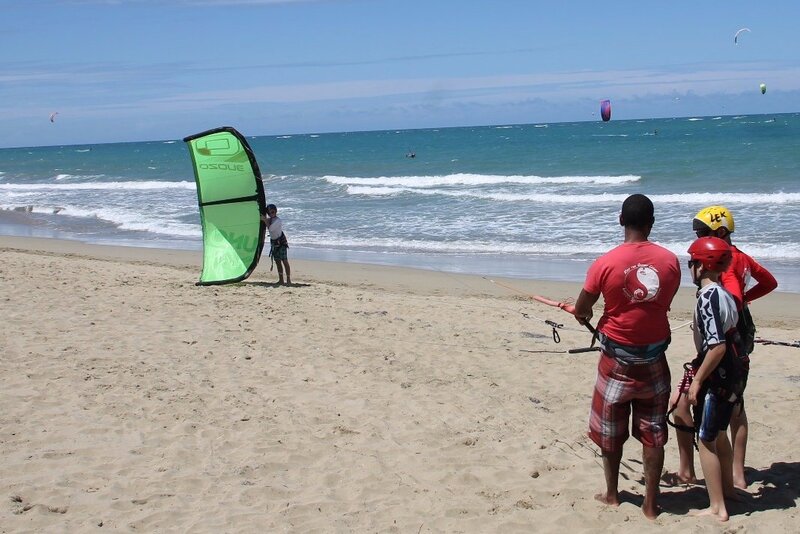 The people at LEK are pleasant and knowledgeable, but so are the staff at most kite schools in Cabarete. The difference is that the people at LEK get stuff DONE. There is nothing more frustrating than wasting your valuable vacation hours while the staff tries to get their act together. I was a beginner kiteboarder with some experience 2-3 years ago. After training with a great instructor, LEK school sold me some inexpensive, used gear that I could use and not have to rent. I appreciate that they stick to one type of kite, so that I could both get used to the feel of this kite and now own the same kite. They were very practical and fair in their pricing, and helpful throughout the entire week. I will be returning soon as I’m sure there are very few places in the world with such consistent wind and great service!